Northern Ireland’s Swail reached back-to-back Crucible semi-finals in 2000 and 2001. However, the 49-year-old needed to win this evening to keep his chances of tour survival alive. Swail is partially deaf and has been suffering from tinnitus. Following his relegation from the tour and his health issues, he now believes it is unlikely that he will attempt to regain his professional status. “It is very hard to take,” said Swail. “It’s not plain sailing for me at the moment with health problems. I’m not going to use that as an excuse, because Joe O’Connor put in a great performance and finished me off very well. These health problems seem to be catching me out at the wrong time though. I think it is coming to the stage where I have to ask questions about whether I want to continue. “My health is more important than anything. I’ve had a good run at it if I do finish. I very much doubt that I will decide to continue, because I am off the tour now and I don’t think I will be going to Q School. I have been there and done all of that and my body can’t take it anymore. I think this is going to be it, but you are catching me right after I have lost heavily, so I don’t know. O’Connor is competing in his maiden season on the World Snooker Tour and is enjoying a superb campaign. 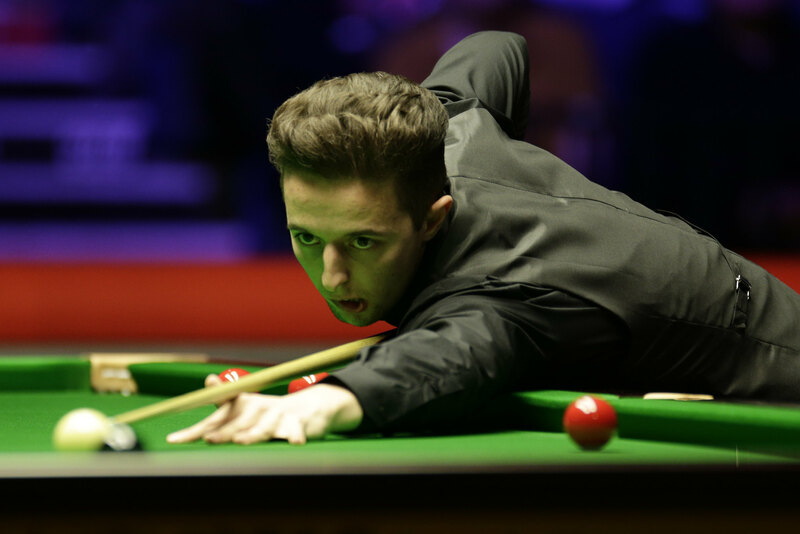 He reached the semi-finals of a ranking event for the first time at the Welsh Open and is now setting his sights on a Crucible debut. O’Connor said: “The run at the Welsh Open and then beating John Higgins again at the China Open, has boosted my confidence through the roof. I know my game is good enough to beat anyone on my day. I’m just taking each match at a time and have a bit more belief at the moment. O’Connor’s second round opponent will be Jimmy Robertson, who recorded a 10-0 whitewash win over China’s Chen Feilong. Robertson, who won his maiden ranking title earlier this season at the European Masters, has come through qualifying in three of the last four years. However, he will be keen to return to the Crucible this month as he is yet to win a match at the Theatre of Dreams. Michael Judge came through a late night clash with Peter Lines 10-9. The marathon match lasted over ten hours and finished after 3am. Defeat is a devastating blow for Lines, who now drops off the tour. Chinese teenager Yan Bingtao kept himself in the running for a second Crucible appearance with a 10-3 defeat of Germany’s Lukas Kleckers. The result means that Kleckers suffers relegation from the circuit. Xiao Guodong produced a fine display this evening, as he swept to a 10-5 victory over Jak Jones. Xiao held a slender 5-4 lead following the afternoon session, but compiled breaks of 51, 71, 105, 74 and 119 to secure victory tonight. 2002 World Champion Peter Ebdon booked his place in the second round with a 10-4 win over Harvey Chandler. While Michael Holt overcame Challenge Tour money list winner Brandon Sargeant 10-5.